I was surprised and delighted last month when an email arrived from BBC Wildlife Magazine. 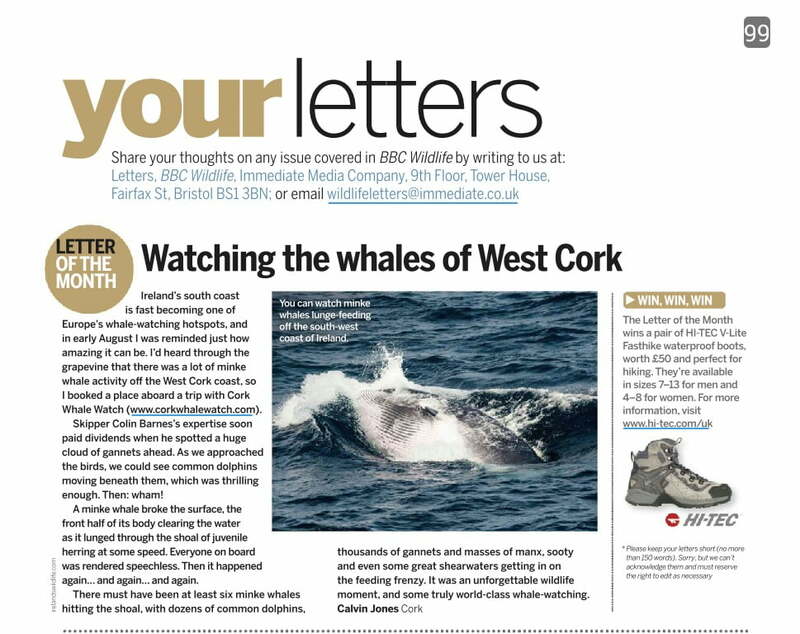 I’d sent in a letter in August accompanied by some shots of a lunge-feeding minke whale. According to the email my letter was not only going to be published in the illustrious journal’s October edition, but had also been selected as “Letter of the Month”, which meant I’d won a pair of waterproof hiking boots. 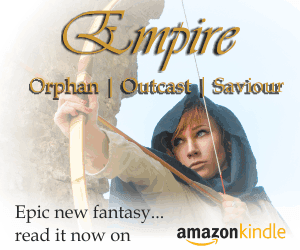 Next step a fully fledged (and paid for) feature article. Aim high I say! 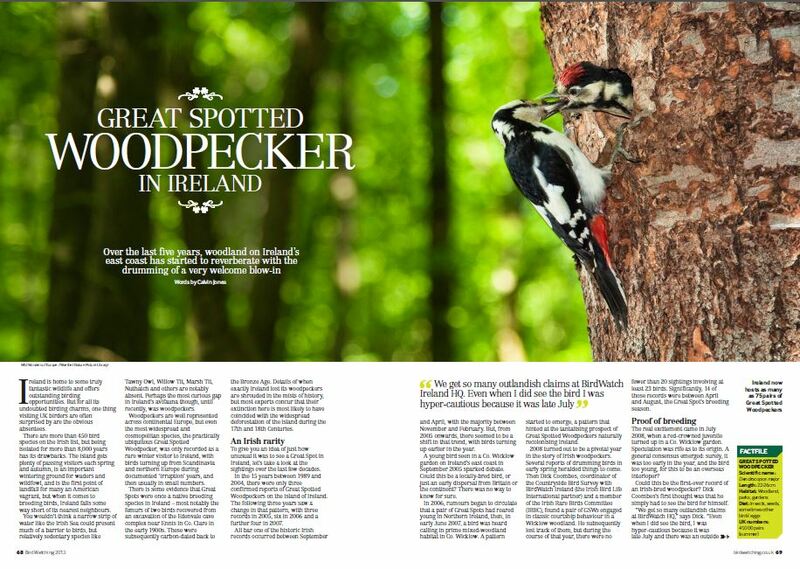 In the same month my full length feature on the return of Great Spotted Woodpeckers to Ireland features in the UK’s Bird Watching magazine: a fantastic good news story — for the woodpeckers and for me! My Great Spotted Woodpecker feature in the October 2013 edition of the UK’s Bird Watching magazine. It’s a shame that the market for wildlife and nature writing is so limited here in Ireland. I think there’s a real appetite for wildlife focussed content out there, but finding “paying gigs” as a wildlife writer in Ireland is… well, let’s call it challenging. Of course one of the best ways to improve your chances of getting published in Ireland or abroad is to have somewhere to showcase your writing talent. While Ireland’s Wildlife isn’t in a position to pay contributors (yet), it does offer an excellent platform to showcase your work. If you have a wildlife story to tell, why not check out our submission guidelines here, and send us your idea. It may not be BBC Wildlife Magazine… but it’s a good place to start! Thanks Dillon… delighted with the achievement… now if I could just get a feature or two in there… or perhaps a regular column… (OK… now I’m dreaming)!